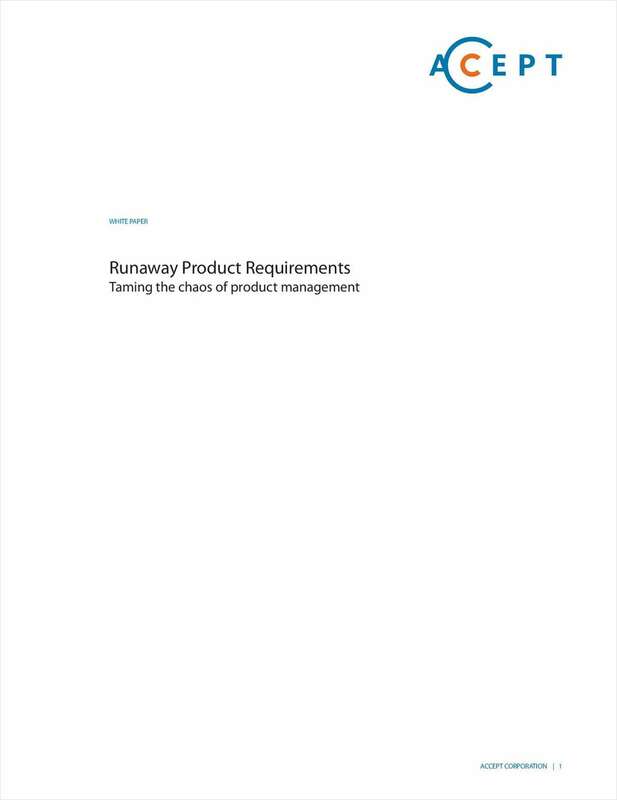 "Runaway Product Requirements: Taming the Chaos of Product Management"
Free White Paper: "Runaway Product Requirements: Taming the Chaos of Product Management"
Today, companies in all industries have fallen under extraordinary stress. The customer voice is more demanding and product requests come from everywhere. As a result, the links between sources and requirements have broken and connections to the company's core business strategies have grown strained. By submitting this content request, I have legitimate interest in the content and agree that Accept Corporation, their partners, and the creators of any other content I have selected may contact me regarding news, products, and services that may be of interest to me.